This is just a sidetrack post since this is about building websites. But even the geeks have its own past times, and one of those is playing video game or mobile game. So about Clash of Clan issue, read on. 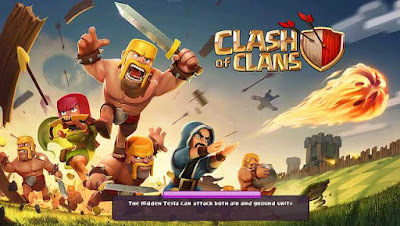 You started playing Clash of Clans (COC) in your android phone. Now that you are switching to Iphone, you will have to start over again. Not at all true. There is a way where you can play Clash of Clans in iphone even if you started playing in "Android". How to do that? Here's a simple instruction. 1. If you have COC installed in your Android phone, go to setting, and then connect your COC to SuperCell. 2. To do number 1, open an account to SuperCell and get your SuperCell ID. You may need to confirm this into your email. You just need to follow instructions in SuperCell to get that ID. This will save your data in COC to their servers. 1. Go to Apps Store and install COC. 2. After installing, go to settings and then connect your account and enter your SuperCell ID. This should automatically load your COC account and can play with it. Here's the good news. You can play your COC in both devices, Android and Iphone. There will probably be a problem if you play it at the same time, but if you play it one at a time, there should be no problem. Comment below if this one works! Tomorrow will be a Black Friday sale! It’s the time of the year where most internet marketers and online companies give huge discounts on the products they are selling. The hint of this sale is the time because most of them only offer HUGE SALES in just a day. So hurry up! Check out these “online business package” that I prepared for you. These are the things to buy in starting your business! About 3 weeks ago when I noticed that some of my websites that are hosted on a single hosting account has been hacked and was inserted by several ad scripts and malwares. I can't just stand there and watch my sites fall. The hacking was done using brute force and SQL injection. It was so frustrating to see all those hard works to be compromised by these malicious softwares. It cost money to set up these websites. And I also loses money if I won't do anything to solve it. 1. I installed a couple of plugins that helps me detect possible weakness and loopholes in my site and secure the site. One of the plugins that I installed also helps me secure my site by limiting and banning IP addresses who tries to brute force my site. I was actually shocked when I got more than a hundred login tries within 12 hours. Thanks to that plugin. 2. Implement those warnings and instructions on how to lock it. I changed the data base prefixes, and tweaked over the sensitive files where hackers cannot directly write onto it. This avoids SQL injection. 3. Ban IP addresses that were detected. With the auto detection, I can now easily trace IP addresses and ban them permanently over the site. 4. Contact the host. When your site is hacked, sometimes, it is almost impossible for you to clean your site from all those bad files. So you might want to contact your host to scan over your site and delete those malicious files. And that’s what I did. 5. Reinstall a clean version of Wordpress. After cleaning, it is advised to reinstall your Wordpress site so that fresh and clean Wordpress files will be installed. This will also delete hidden scripts that were installed in some of your php files. I was able to stop more than 200 hacking attempts overnight. 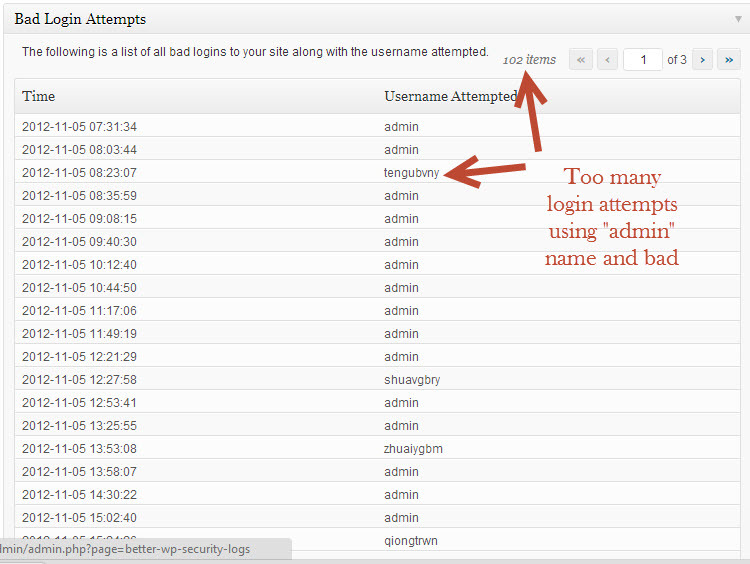 And for 24 hours monitoring, I don’t see too anymore SQL injection activity. I really do hope that I finally get rid of those malware. Visit our main site for more Wordpress tutorials. What are you going to do when you see a flying man? LOL... these figure are not real men, but it's a mechanical flying objects that was made to have a figure like a man. This is for a production of a movie.